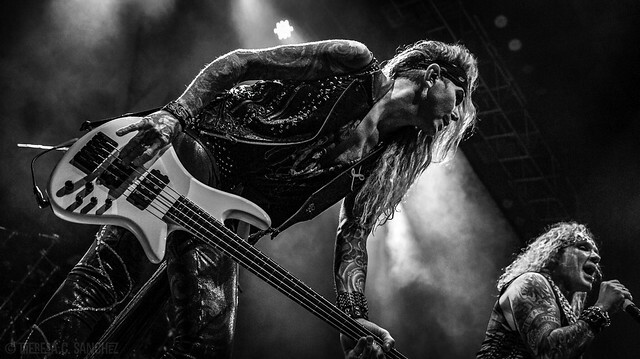 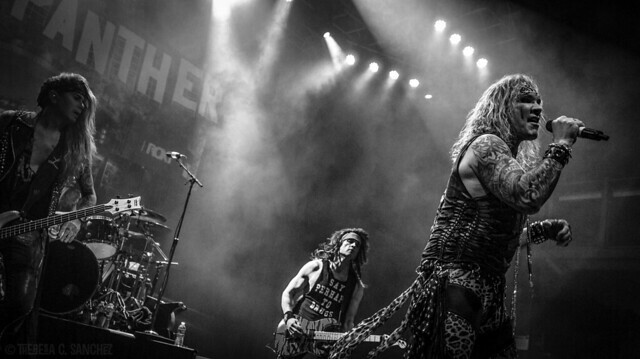 Steel Panther is: Michael Starr on lead vocals, Satchel on guitar, Lexxi Foxx on bass, and Stix Zadinia on drums. 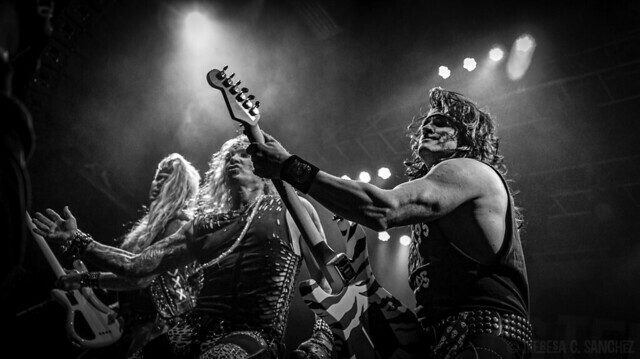 On March 30, they played about 95 minutes of 80s hair metal classics mixed in with their original material. 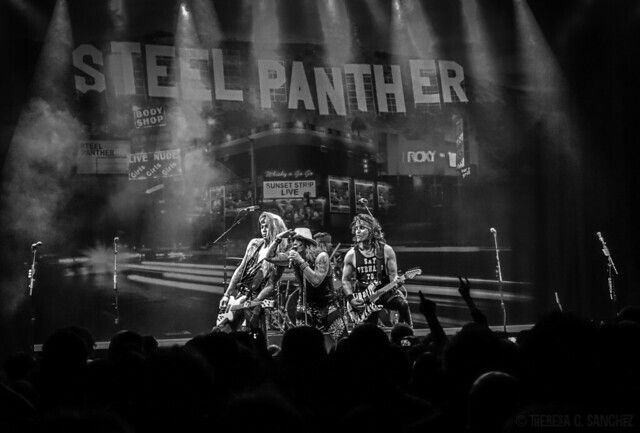 One of the best parts of the show happened during their final song, “Gloryhole,” where they invited a teenage boy onstage to play guitar with the band. 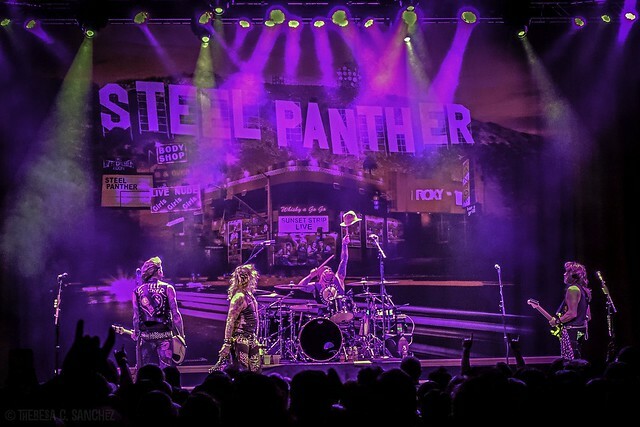 Their next closest stop is May 1 at the Theatre of the Living Arts in Philadelphia. 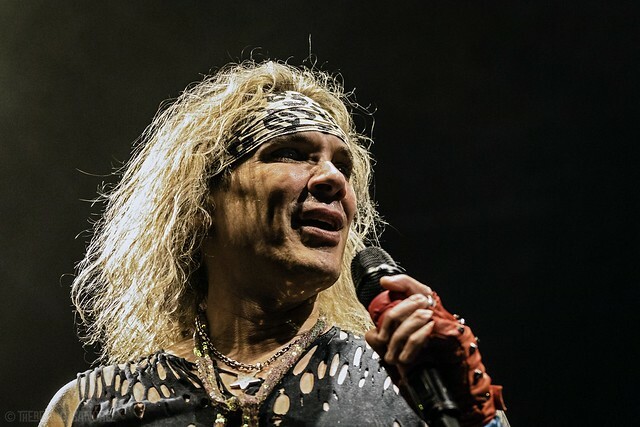 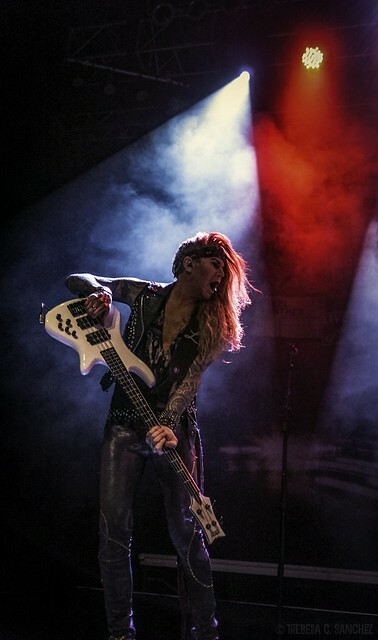 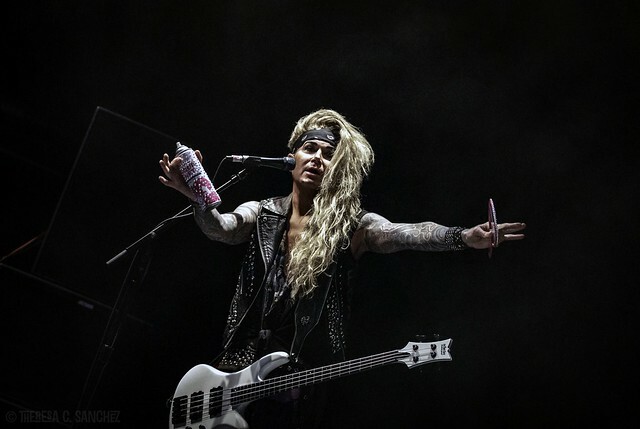 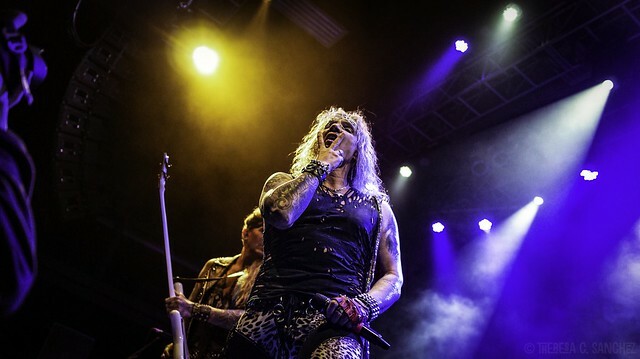 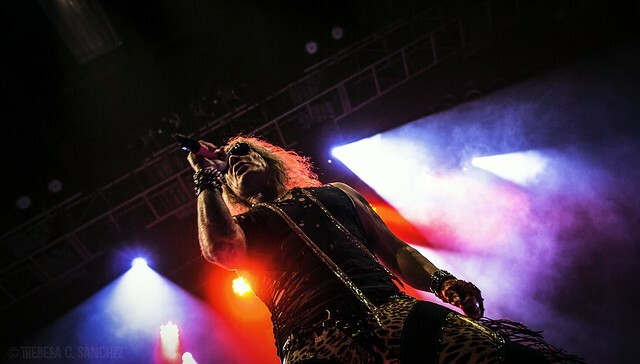 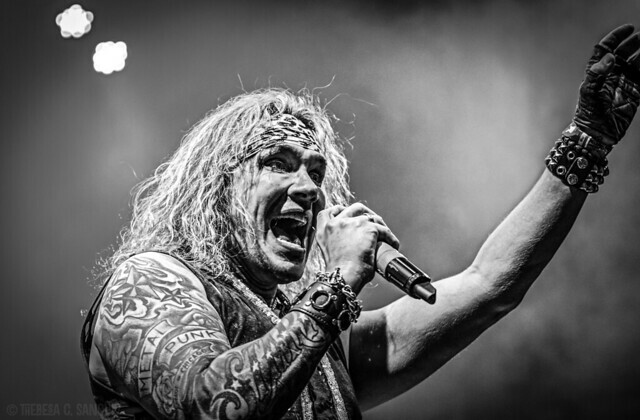 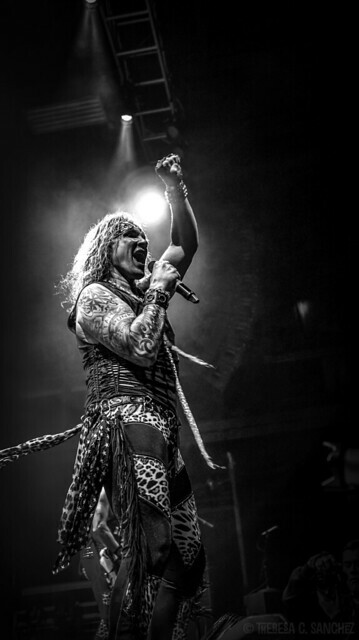 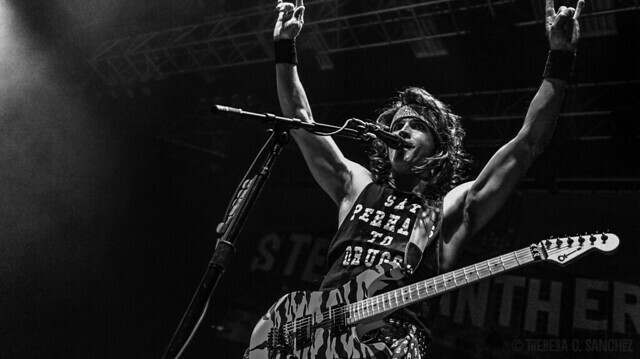 Here are some photos of Steel Panther performing at The Fillmore Silver Spring on March 30, 2018. 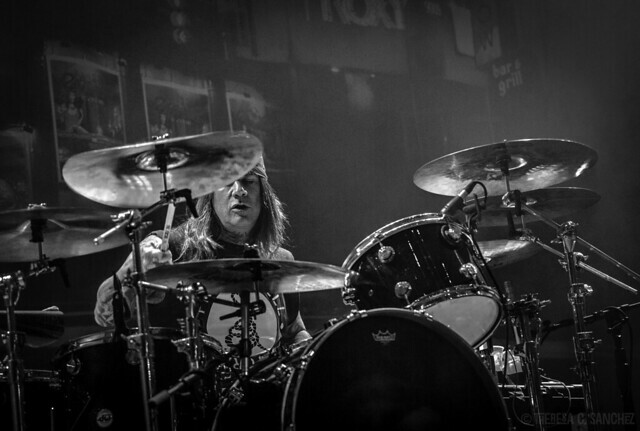 All photos copyright and courtesy of Theresa C. Sanchez.